Editors can now add a hip, grungy style to their next split screen scene in Final Cut Pro X by using hand drawn brush stroke panels. Then complete the grungy look by adding a paint stroke text panel as well. Time to slice and dice! With ProSlice Paint’s collection of 20 brush stroke panels, editors can divide their screen into two, three, four or even five sections in the few clicks of a mouse all within FCPX. Get ready to slice up-and-down, left-to-right and every other way imaginable. Editors can position their image with precision. With easy-to-use on-screen controls, users can scale, rotate and position their brush stroke panel without ever having to leave the Viewer window in Final Cut Pro X. Users can then use the Inspector controls to adjust the drop shadow. The team at Pixel Film Studios redesigned the split screen method to make the process easier than ever in Final Cut Pro X. Editors can simply stack as many paint stroke presets as they want want in the timeline. Then fill each one with their media and use the on screen controls to move it around the screen. 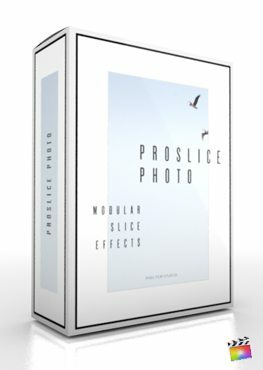 Where do I find ProSlice: Paint? Once the installation is complete, you can find ProSlice: Paint in the FCPX Title libraries.